India has highways broadening across 3.314 million kilometers, making it the 3rd biggest road system around the globe. The development of expressways has made highway transport well-organized and speedy. 13 Expressways are already functioning accurately and 15 more are getting the structure. The 13 super highways in India cover a distance of 683.36 kilometers. Ahmedabad - Vadodara Expressway – This 95 Km expressway on NH 8 lessens the travel time between the two cities from about 2.5 hours to about an hour. NH 8 is amongst the busiest national highways in the country. Built in 2004, the highway has 2 lanes on both sides. 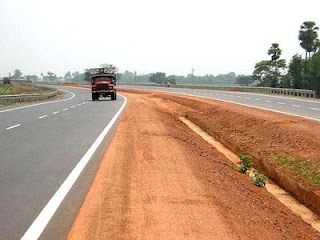 It is a fragment of the Golden Quadrilateral Project by NHAI. It was one of the chief progresses of “India Shining” movement directed by Atal Bihari Vajpayee. 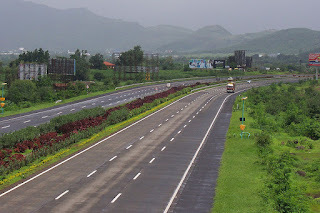 Mumbai-Pune Expressway – With the Total distance of 93 Kms, The Yashwantrao Chavan Superhighway is India's first six-lane concrete superhighway. Connecting Mumbai & Pune – The highway reduces the travel time by 2 hours. The Mumbai Pune expressway removed the travel difficulty between the two major cities. It’s extended and curving road starts from Mumbai & passes through the some scenic locations before it ends in Pune. 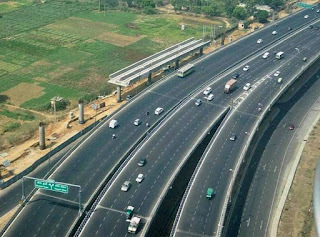 Allahabad Bypass Expressway –Covering a distance of 86 kms, the Allahabad Bypass is an admission controlled freeway and forms a part of Golden Quadrilateral project by NHAI, linking four metropolitan cities New Delhi, Kolkata, Mumbai and Chennai in India. The superhighway includes construction of rigid asphalt for the main traffic lane and flexible concrete for the service roads. 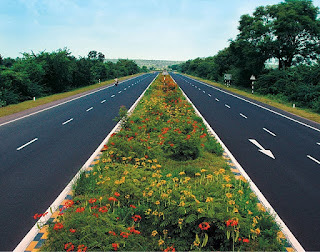 Delhi-Gurgaon Expressway – It covers a total distance of 28 kms linking Delhi and Gurgaon. This expressway is a part of the Golden Quadrilateral project by NHAI. There are only two over bridges along the entire section to gratify to the societies living on either side of profoundly inhabited areas through which the superhighway runs. A gigantic project is in progress to magnify the road network and the government plans to increase a surplus 18,637 kilometers of expressways to the network by 2022. Further projects include creation of access-controlled roads and will provide four to six lanes with 3,530 kms in the next three years.